To Gary Roach, a Dodge lover, the advertisement was compelling. Dodge Roadster 1929 40% restored, mint condition, 36,000 original miles full history with owner’s manual. 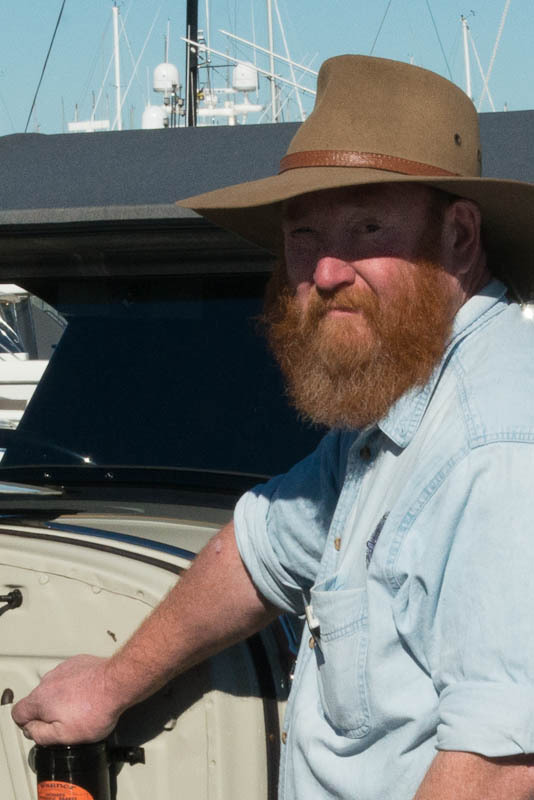 Sounds almost too good but a phone call set the project in motion and a journey of several hundred kilometers to the cotton centre of Narrabri. Experienced car restorers should not be surprised when viewing a restoration for the first time but in Gary's words it was a basket case. Resting on wooden blocks and covered in rust. Gary was rightfully disappointed. However his expert eye recognised as a DA Roadster. Further inspection was delayed while a swarm of wasps was removed from their home inside the Dodge. From the delivery records and contact with the 2nd owners daughter Gary was able to trace the history of the car. On the 12th of April 1930 the roadster was originally purchased by Dr H J Taylor from Nowra. The car was purchased through Hardin and Johnson Country Sales. 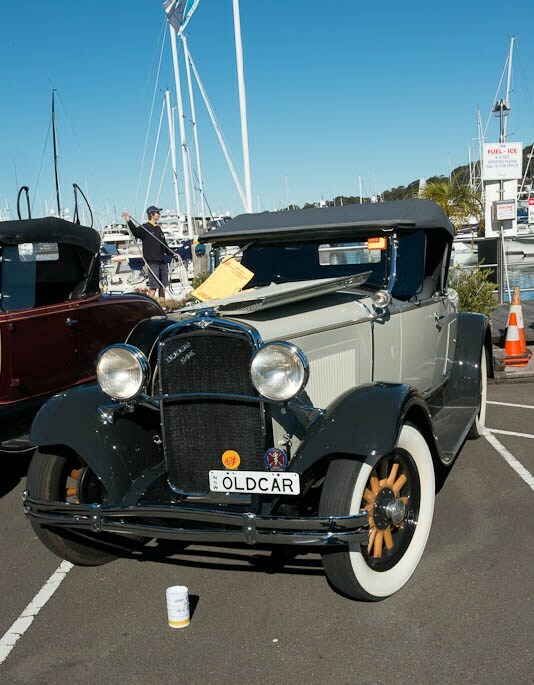 One of the conditions of sale was that the car arrived no later than the 30th of April 1930 and the car was to be delivered to the Coolangatta Public School near Shoalhaven Heads. 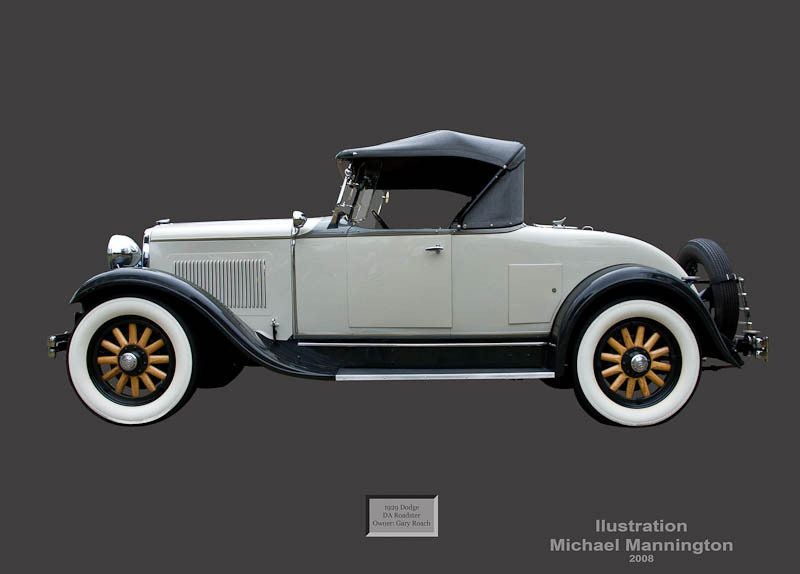 The car was ordered as a Dodge Brothers Special Roadster, colour Thorn Grey with a salt and pepper hood; extras included dash clock, holland side blinds, bumpers and bumperettes. 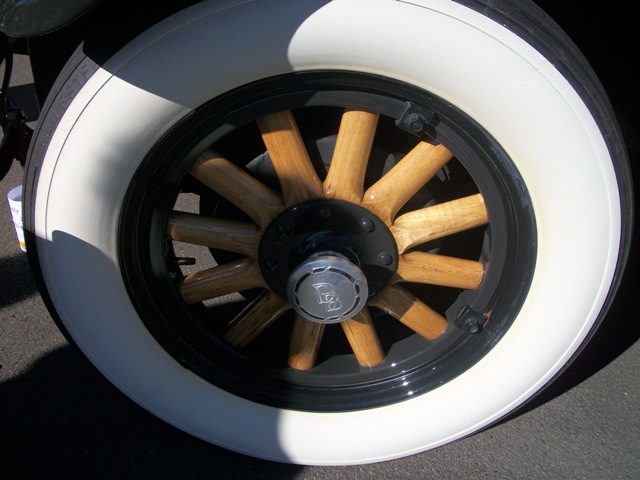 The Dodge was then sold to Erwin Johnson in 1932. He and his brother operated a dairy property at Gerringong on the south coast of New South Wales. On a weekend away we stopped in at the Berry Historical Society Museum where we inquired regards any clues or leads about the old Dodge’s history. When we arrived home the following day, one half an hour later we received a phone call from the Berry Historical Society with a number to ring as to information regarding the car. One quick phone call to Gerringong and the second owner’s daughter has provided us with much of the history of the car and some pictures while it was owned by her father. The Dodge roadster was one of the first cars in the district when here father bought it second hand from the family of the late Dr. Taylor in 1932. Her father built a special garage to park the Dodge, which still stands today. The Dodge was replaced as the regular means of transport in the late 1930’s by a Hudson sedan at her mother’s request. “Mum didn’t like the car because it used to blow her hair around” so the car was only used from time to time to drive into Berry while the Hudson was used as regular transport. The car was then sold to the third owner who carted milk for the dairy in the early 60’s. He and his son drove the car to various early vintage car meets. They kept the car on the original registration up until the early 70’s. When the registration finally expired the roadster was taken off the road to be restored. During this time the car was stripped and finally ended up in a shed in Narrabri.. Restoration of the roadster was started in mid 1999. The chassis was pressure washed, new fuel lines were run, brakes re-sleeved, fuel tank cleaned and shock absorbers serviced. The body and panels were then taken to Impact Glass Bead Blasting at Blacktown to be stripped prior to panel beating and paint. We manufactured a simple trolley type jig to move the body around on during the various stages from start to finish, prior to fixing back onto the chassis. The rust in the rear section was replaced with new metal as was the drain tray and timber section attached to it. Hours were spent panel beating the body and guards back into shape this work was carried out in the garage. Next, new running boards were remanufactured and a die made to remake the lower radiator surround section. The body was then assembled, the required adjustments made, then disassembled ready for paint. When we say the required adjustments made you can have no idea how many required adjustments were required. Meanwhile the original motor was checked for compression and reused without overhauling, as was the clutch and gearbox. But overheating problems were eventually traced to a warped block so the motor was stripped and decked, then fitted with 6 new exhaust valves, timing chain, pistons and rings. The main bearings and rods were checked and reused. While the motor was out the gearbox and clutch were overhauled. An interesting point to note was the inside castings of the engine and gearbox were painted green, maybe to stop rust prior to assembly? The gearbox case was taken to a local paint manufacturer who colour matched the paint in machinery enamel. The rear axle is yet to be overhauled. Problems with the water pump led to replacement of the old packing gland and bush arrangement with roller bearings and seals. New tyres were purchased and fitted. The body was then fitted back onto the chassis. Many tedious hours were spent reassembling the body and numerous fittings. The next task was the trim. This work was undertaken by Bruce Gibbs at Wyong. The original hood frame had two of the three bows replaced; the seat frames were repaired and reused. Finally the car was nearing completion. A new wiring loom was made and installed, instruments and lights refitted. The last task was to bleed and adjust the brakes, a few test runs up and down the driveway and finally the roadster was reborn. The roadster has been on full registration for just over 3 years to date. A few problems have presented themselves along the way but these have been overcome. We now look forward to some active vintage involvement in our "old car." Driving the car down to Gerringong to visit the second owner’s daughter and her family to show them the car has probably been the highlight of the restoration. Words by Gary Roach and Michael Mannington. Photo illustration by Michael Mannington.